This store in Copenhagen stands out among the crowd of furniture shops in the city. In a city full of great furniture shops it’s hard for a new one to stand out. 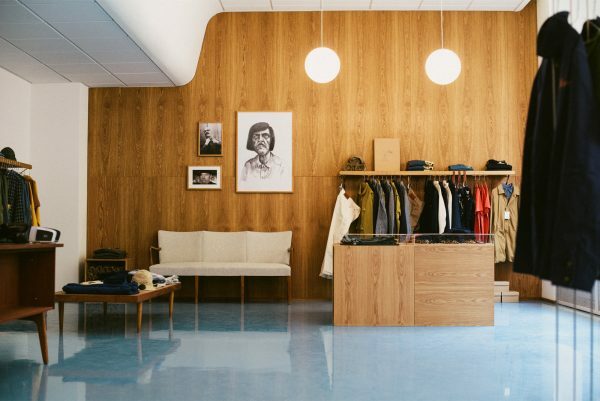 Yet, The Apartment, a newly opened store in the Christianshavn neighborhood of Copenhagen, manages just that. Everything you see in the beautiful space is on sale. An eclectic mix of 20th century furniture, contemporary art and design, showcased in the elegant setting of an 18th century apartmen. There are works by designers such as Michael Anastassiades or Ilse Crawford, Larusi rugs and a hand-picked selection of vintage furniture. An rotating mix of artists show their work here. Founder Tina Seidenfaden Busck has been involved within contemporary art, design and antiques all of her career. She worked for one of the region’s leading galleries, Andersen’s Contemporary, representing artists like Olafur Eliasson, Anselm Reyle and Tomas Saraceno. From 2000 to 2010, she worked at Sotheby’s in London and Copenhagen.